Please ensure your child is suitably dressed, especially in colder weather and has a drink for each session. 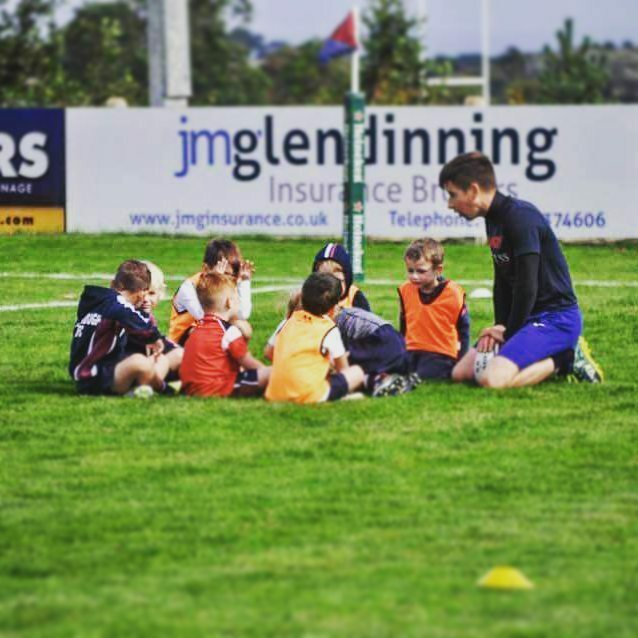 The Rugby continuum published by the RFU regulates and provides guidance on the playing and coaching of children in the age grades Under 7 to Under 12. A child enters the Under 7 Continuum age grade on their 6th birthday rather than the school year. The following guidance is taken from the RFU statement on the participation of very young players – Under 5 and 6 year olds. 2. Parents/guardians MUST REMAIN by the pitch side at all times – We often find that players at this age require comforting at times and it is better to send them to parents/guardians for this. 3. All children must be registered with the club. We offer a come and try it policy whereby new players can participate in 2 or 3 sessions before we ask you to pay the annual subscription. Full details of Club membership, player’s packs and weekly subscriptions can be found in the Parent’s Handbook, copies of which are available from the rugby office. 4. Players must be in Reception Year (4 – 5 year old) or Year 1 (5 – 6 year old). 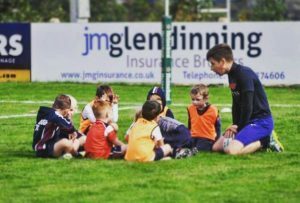 *Once a child reaches the age of 6, they can move up to join in the Under 7’s if deemed appropriate by the coaches and with the agreement of the parents/guardians. 5. Training sessions will run from 10:30am to 11.30am This is subject to weather at the coaches’ discretion. 6. Parents may withdraw a player at any time during the session. All we ask is that you make the Coaches or Manager aware if you are leaving. 9. Equipment/clothing requirements. All players should be equipped with boots with studs. Players can wear shorts or trackpants, socks and a top which they don’t mind getting wet or muddy. Please provide a change of clothing for after the sessions and dress your child appropriately for the weather conditions. 10. TAG is a non contact game and therefore no other protections, gum shields etc. are recommended at this level. 11. Kit can be purchased from the club shop, which is open every Sunday morning (Purchases can also be made during the week by asking at Barons reception desk). There is no obligation to purchase club kit for micros. 2. At micro rugby level we use a size 3 ball. – You may want to buy your child one so that they can practice passing and catching at home. 4. Lend a hand – If you want to help, please speak to the YDO or Coaches.